On a warm, clear and dry evening what could possibly go with wrong, especially with the record broken and Ian, Tim H doing PBs, and Pete and Majka posting ultra fast category records. Well everything! Josh and Jim returned up the Mortimer road shaking their heads, their whereabouts on the hills unknown and Jack and Max came back smiling 20 minutes late? and baffled as to why there was no trig on Wet slackridge but they finished, and Tom like Paul threw in the alternative often used! of going back to the cabins before tackling Emlin. Without that Tom would have gone close to 50 minutes. 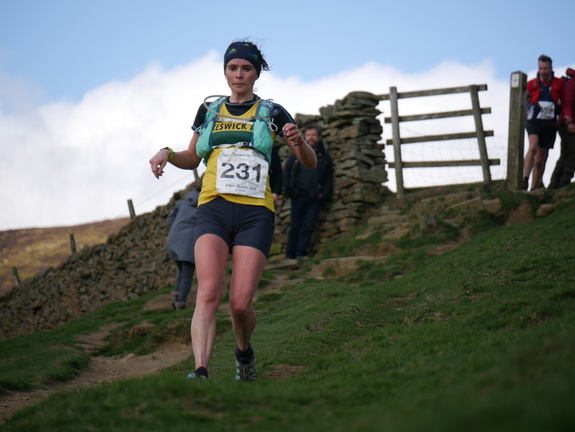 7 Majka Kunicka 01:07:28 Dark Peak WSEN Record by 14 minutes! 9 Richard Baxter 01:11:27 Dark Peak M50 Early start!